For the best value, service, and lift truck attachments…You can count on Cascade. Cascade lift attachments enable your conventional lift truck or forklift to become a more versatile and efficient materials handling tool. For over 70 years, Cascade has been providing innovative material handling solutions our customers can count on. As the global leader in lift truck - forklift attachments, forks and forklift accessories, Cascade can meet attachment requests with fast, effective and reliable material handling solutions anywhere, anytime. Cascade products allow a lift truck to pull, push, clamp, lift, sideshift and rotate practically any load imaginable. From Paper Roll Clamps and Carton Clamps to Multiple Load Handlers, Push Pulls and Layer Pickers, Cascade has a forklift attachment for nearly every industry and application. Our global engineering team has decades of expertise and technical knowledge and provides around the clock design support. 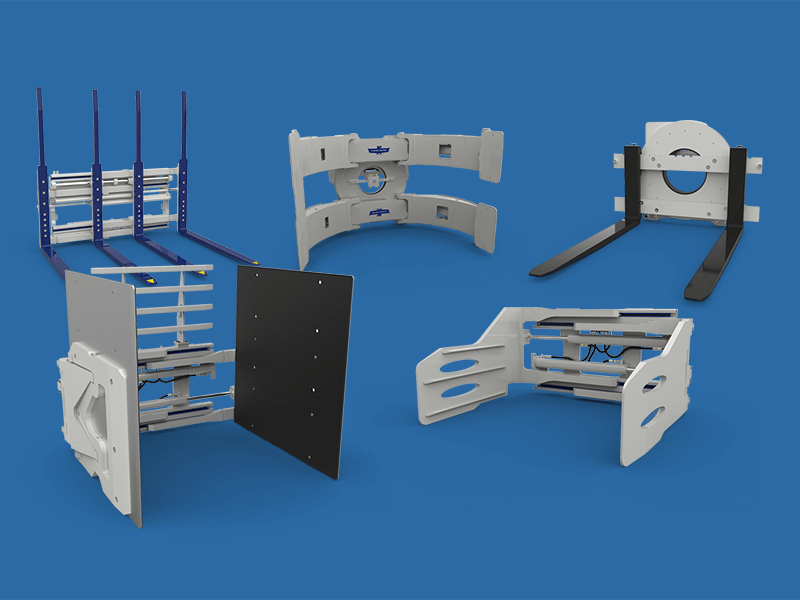 This allows Cascade to design more custom attachments than anyone else in the industry worldwide. For example, when a port in Sweden needed giant paper roll clamps to handle eight rolls at a time without product damage, our hydraulics experts in Oregon worked with the structural design team in The Netherlands to design the ultimate Tower Clamp. Every Cascade product is held to strict quality standards and rigid specifications. With the widest range of material handling products in the industry, Cascade offers years of reliability, durability and high performance. Whatever the application or load size, Cascade can handle it. Cascade products are designed and manufactured to stand the test of time. Our quality attachments minimize downtime and maintenance hassles while reducing product damage. Our Performance Plus programs, such as our industry-leading Warranty and Guaranteed Buyback Program, reflects our confidence in the materials, design and manufacturing of our products. Our genuine forklift attachment parts are covered by the same warranty program as our attachments. Cascade products are designed to maximize your lift truck’s efficiency. Our hydraulic systems minimize energy consumption and maximize performance. They allow for cooler oil temperatures in your IC powered lift truck and longer battery life on electric powered lift trucks, adding to your bottom line. Cascade’s global presence allows for local sales and technical support whenever and wherever you need it. Need experienced advice on a lift truck attachment for your particular application? Cascade is committed to finding you the most effective materials handling solution. Contact us today to make your material handling operation more efficient.